Tokyo's rare interventionist stance towards Brexit shows its diplomatic, economic and ideological concerns over the international order. Is Brexiting Britain becoming an insular, inward-looking country? The answer is debatable, as Brexiteers are trumpeting a "global Britain". Even so, Japan - a fellow island country that formed an alliance with Britain in the early years of the last century - is nervously watching the eventual course of the roller-coaster Brexit ride, and not just for its short-term economic interests. Japan is worried that its strategic and even ideological interests may be at stake if Britain recedes from the world as a result of the withdrawal. The United States has certainly dominated post-World War II Japan's security and economic dimensions as its closest ally. But, for Tokyo, London is a key barometer to conducting sensible diplomacy. "We see Britain as a reference to base our voting on United Nations resolutions on Middle East issues," a senior Japanese diplomat said several years ago. At the UN headquarters in Midtown Manhattan, New York, Washington's pro-Israel stance was conspicuous even during the previous administration of President Barack Obama. The diplomat's comment appears to be borne out by facts. Out of at least 28 Palestine-related resolutions adopted with votes at the UN General Assembly in 2015-2017, Japan and Britain were on the same side - either voting for or abstaining from voting - on the 28 resolutions while the US voted differently on all of them. In December 2016, during its latest term as a non-permanent member of the UN Security Council, Japan, together with 13 other members including Britain, voted for a resolution reaffirming that Israel's establishment of settlements in the occupied Palestinian territory constitutes a flagrant violation under international law. The US was the only country that voted differently by abstaining. A US State Department report shows that Tokyo's voting coincidence with Washington at the General Assembly last year on Israel-related resolutions was 17 per cent, while the figure for London was 24 per cent. Dependent on oil from Arab countries, Japan is keen on economic assistance to the region and keeps similar principles to many other member states in calling for a two-state solution based on the 1967 lines and resolving Jerusalem's final status through negotiations. Nevertheless, Japan is hardly an active political power in the region. In Middle East issues, Tokyo often finds itself in a difficult position as it tries to strike a balance between its special relations with Washington and its multinational diplomacy. Tokyo appears to view London - another of Washington's closest allies - as a beacon to guide its actions regarding intricate Middle East issues, or, to use Brexit jargon, a backstop to fend off US pressure. But a chaotic Brexit - including not just a no-deal withdrawal but also endless, tortuous talks with the European Union during the transition period - is likely to increasingly divert London's political resources from global affairs. As a result, Japan could lose a savvy, stable standard-bearer in multinational diplomacy. Ever since the June 23, 2016 Brexit referendum, Japan's stance on the issue has had an unusually interventionist tone, in the light of Tokyo's general tendency to refrain from making comments about the domestic affairs of its friends. This shows how serious Japan is about minimising the fallout. In September 2016, the Japanese government's Brexit task force - an inter-ministerial body established soon after the vote - issued a 15-page document titled Japan's Message to the United Kingdom and the European Union. Emphasising the importance of "predictability" in the Brexit process, Tokyo called for "maintain(ing) Customs duty-free trade between the UK and the EU" in the message. This request surely touched on Britain's subtle internal issue of whether to remain in the European single market and Customs union. In the document, Tokyo also specifically urged "the establishment of an extendable transitional period" after Brexit even before it was widely discussed across the two sides of the English Channel. This very idea of "extendable transitional period" was subsequently included in the draft withdrawal agreement that was approved by London and Brussels last month. 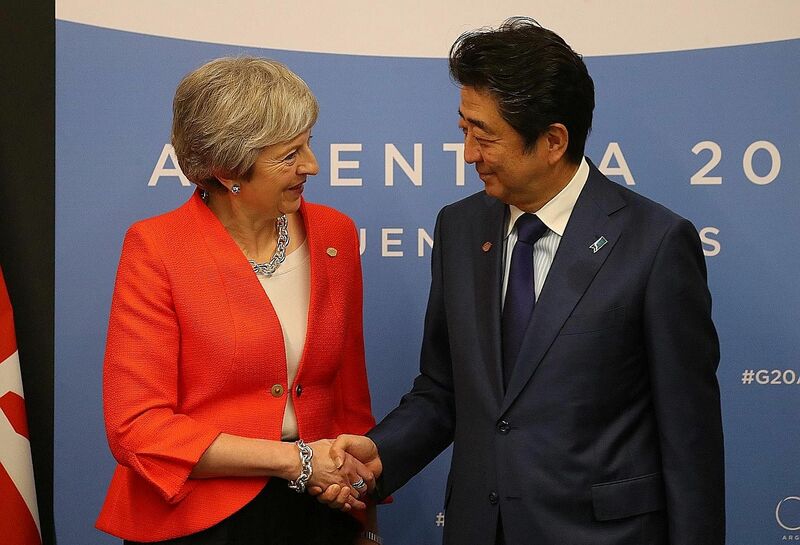 In a meeting earlier this month in Argentina, Prime Minister Shinzo Abe urged British Prime Minister Theresa May to avoid a no-deal Brexit and ensure "transparency, predictability and legal stability" in the process. Corporate Japan has been just as responsive. In its statement in August 2016, Keidanren - the country's largest group of employers - raised the issue of guaranteeing "predictability" in the withdrawal process as its No. 1 demand. Toyota Motor president Akio Toyoda issued a comment as the chairman of the Japan Automobile Manufacturers Association soon after the EU-Britain agreement last month, saying: "We hope that clarity will emerge in regard to the UK-EU relationship as soon as possible" after the Brexit day of March 29, 2019. It is easy to reduce the Japanese activism to its business interests. Britain is Japan's second-largest investment destination - only after the US - with the value of its foreign direct investment from Japan standing at US$21.6 billion (S$29.7 billion) last year. With convenient air connections to and from London as well as an English-speaking environment, Britain has provided Japanese firms with an important hub of operations to expand in the European market. Japan, however, sees something more crucial than economic loss. It is no coincidence that both the government and the private sector in Japan stress "predictability" or "clarity" in Brexit: These are indispensable concepts of British conservatism, whose genes have been deeply inherited in liberal democracy in Japan. When "there is a predictable rule of law, some liberty survives", former British prime minister Margaret Thatcher said during a speech in 1996 in the former socialist country of Poland. The anti-communist Iron Lady was known as a strong follower of Dr Friedrich A. Hayek, the Austrian-born economic thinker who advocated individual freedom under the rule of law because it ensures predictability. During the last decade of the Cold War, Mrs Thatcher, US President Ronald Reagan and Japanese Prime Minister Yasuhiro Nakasone of the Liberal Democratic Party led the capitalist camp, sharing a similar Hayekian neo-conservative creed. Mr Abe arguably belongs to the same ideological camp of the party, promoting economic deregulation and the rule of law. With the nation's relatively favourable economic conditions, Japan's businesses back Abenomics. As the US' commitment to the post-war liberal international order becomes nebulous under President Donald Trump, Mr Abe is increasingly presenting himself as a free-tradist world leader. He said at the UN General Assembly's general debate in September: "Under the flag of free trade, Japan has, with any country and any region, built up relations in which we each can be of assistance to the other. We will continue to do this, going forward." If it were not for Brexit, Mrs May with her liberal conservative credentials could be a stronger ally for Mr Abe than she is now. A Tokyo-based British diplomat admitted that the government of her Conservative predecessor David Cameron looked to China for its Asia policy and that its interest in Japan was lower than it could have been. Britain under Mr Cameron was the first Group of Seven nation to announce its decision to join the China-led Asian Infrastructure Investment Bank. Mrs May has shown a more balanced approach than Mr Cameron through such measures as a decision to delay a Chinese-funded nuclear power plant deal. This year, Britain dispatched naval vessels to North-east Asia to monitor North Korea's illicit ship-to-ship transfers. However, the unpredictable, unclear experiment of Brexit is creating a sense of unease among Japanese people as it appears to break with their image of Britain as the guardian of pragmatic conservatism that Japan was long familiar with, both diplomatically and economically. The most shocking scenario for Japan would be for Mr Jeremy Corbyn's Labour Party - with a radical programme of nationalising infrastructure and raising taxes on the rich - to win in a snap election in the aftermath of the Brexit chaos. His foreign policy is equally unclear, but it is likely to be a resounding repudiation of neo-conservative economics and security commitments. Before World War II, Japan enjoyed relative peace and prosperity during the time of the 1902-1923 Anglo-Japanese Alliance. Despite the loss of its superpower status since then, Britain still greatly matters to Japan. Will Japan stay internationalist in the 21st century? The answer must be yes, but the pain from Brexit will significantly test Tokyo's globalist credentials amid the precarious international environment. • Michinobu Yanagisawa is an assistant editor of The Japan News. 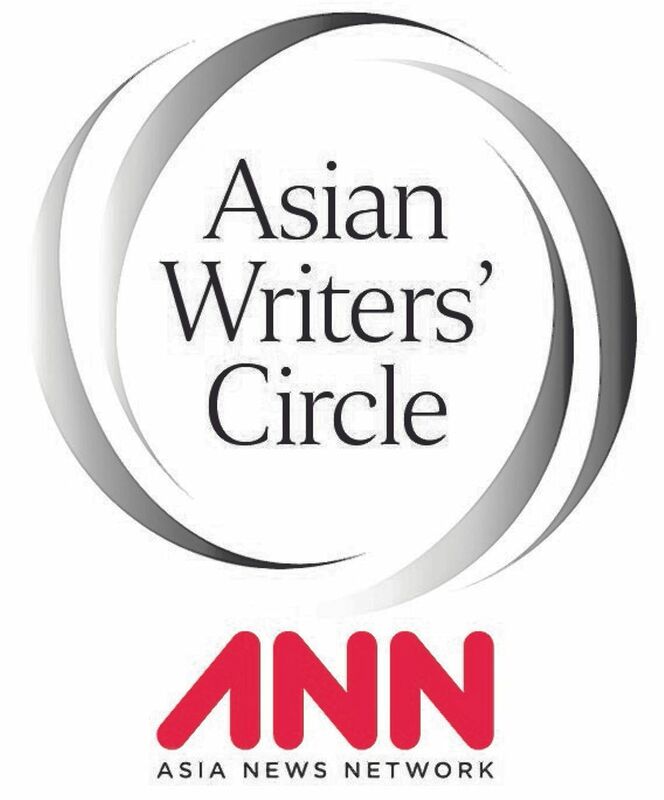 • The Asian Writers' Circle is a series of columns on global affairs written by top editors and writers from members of the Asia News Network and published in newspapers and websites across the region.